I'm trying to import an FBX file made in Blender into Unity so I can use the actions created in Blender in a Unity animation state machine. A lot of sites seem to suggest that simply dropping the FBX file into the assets will automatically import animation clips, but that doesn't seem to be happening. 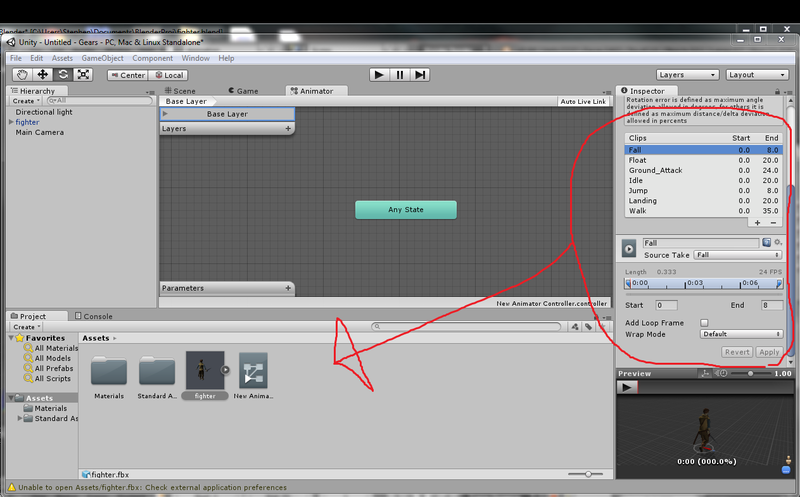 Unity does however recognize the discrete actions created. I used the Blender export settings "Include Animation" and "All actions", but not "Include Default Take" as people recommend. How can I retrieve my animation clips from the fbx file, or is there another way to insert them into the Animator? Thanks! The clips seems to be there, in fact the animation tab in the model importer show their names. In order to select them from project tab, you simply need to expand the view clicking on the little arrow on the right of the model icon. Not the answer you're looking for? 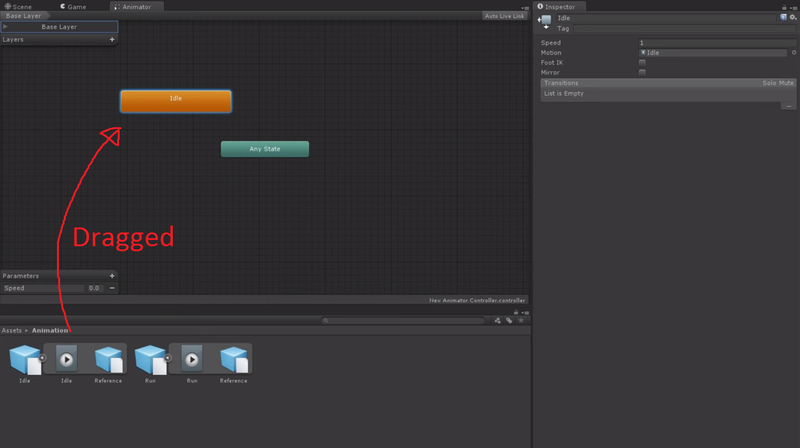 Browse other questions tagged unity animation blender importing or ask your own question. Is it possible to export a simulation (animation) from Blender to Unity?